This card is a quick make and I made it from lots of bits left over from other projects. If you read my post from the 28th you already know why I needed another card and quickly. 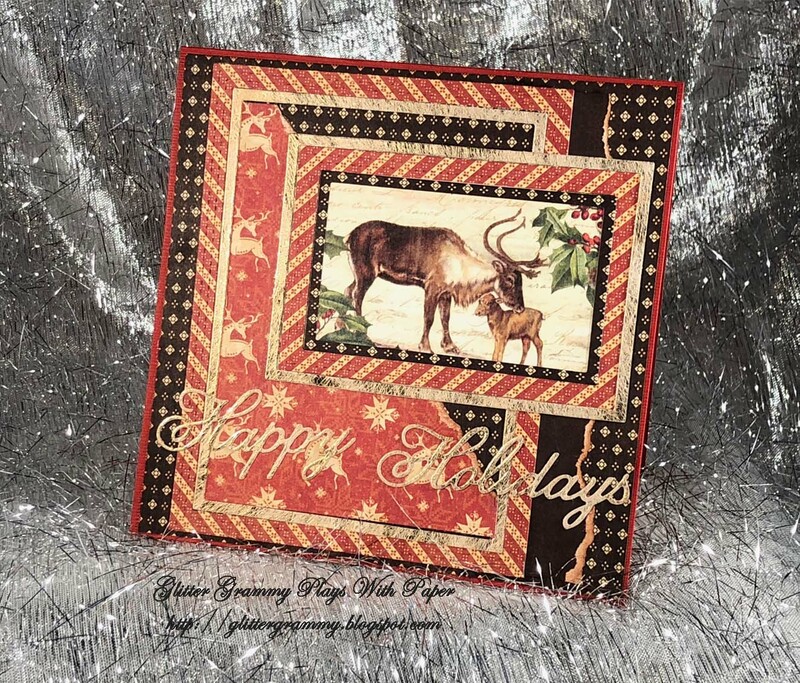 This card is for the Sparkles Christmas Challenge and the theme was chosen by Lynne and it is you must have a Reindeer. I used Graphic 45 papers and a Poppystamps sentiment. The frames were also cut using a Poppystamps die - Double Stitched Rectangle. I found some gold and while bits to cut frames to embellish the frames I'd already cut. I am loving my newest frame dies. And the thin pieces fit perfectly. I hope you find time to enter the Sparkles Christmas Challenge. I look forward to seeing what you've created.